I had a great weekend up north at Mangawhai Heads. There was of course the huge advantage that the weather was utterly fantastic, so we were able to spend a fairly decent chunk of the time on the beach. I hadn’t been to Mangawhai Heads for quite a few months – fairly typical for me in many ways actually – but it was good to get there and have a fun weekend. 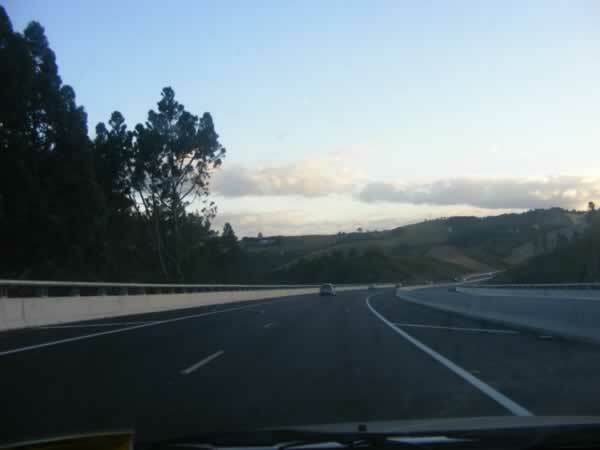 On the way back we got to check out the new Orewa to Puhoi motorway, officially known as ALPURT B2 or the Northern Gateway. 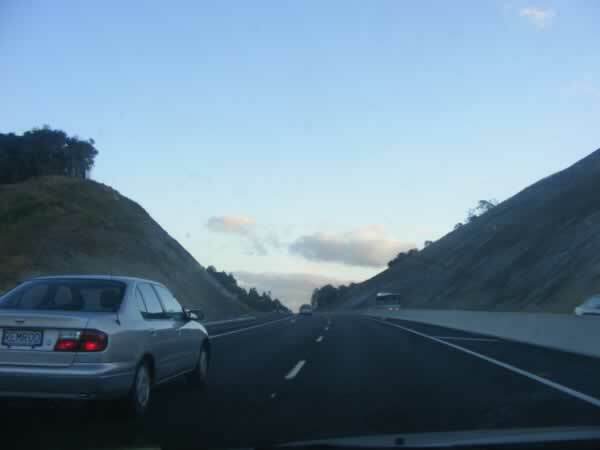 It’s a fairly spectacular piece of motorway that has been under construction for the past few years and is actually New Zealand’s most expensive ever roading project, largely due to the extremely hilly terrain that it had to go through and also the high environmental standards that were used – a nice change from many motorway projects in the past. 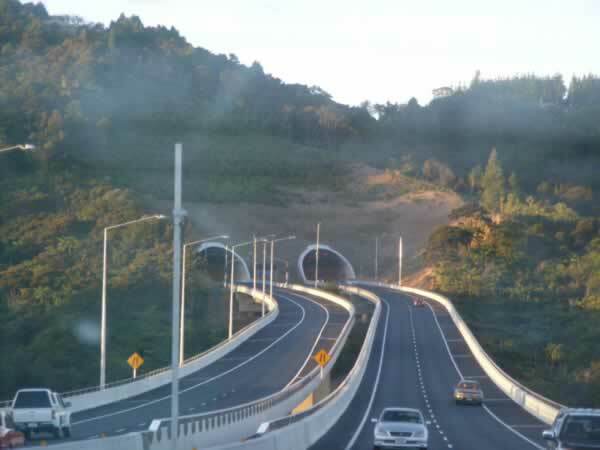 This photo is taken out looking back towards the southern portals of the Johnston’s Hill tunnel. The northbound carriageway cuts down to one lane here for safety reasons, although importantly the tunnel is wide enough for two lanes of traffic eventually, once the motorway is extended further north (assuming that happens). This photo is of the “Chin Hill” cut. The amount of earthworks to create this cut was apparently enormous. This photo shows one of the eco-viaducts that were a big part of the project. I was a little disappointed not to be able to get more of a sense of the viaducts’ scale, but I guess that’s only really possible if you’re not on them. 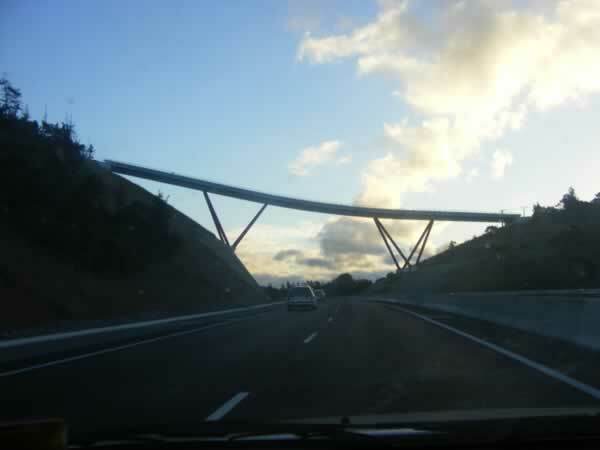 This photo looks towards “Pukeko Bridge”, which is amazingly high above the motorway. You can’t quite get a sense of it’s great colour as the light was starting to fade by the time we took the photos. These are the electronic toll ‘gates’. 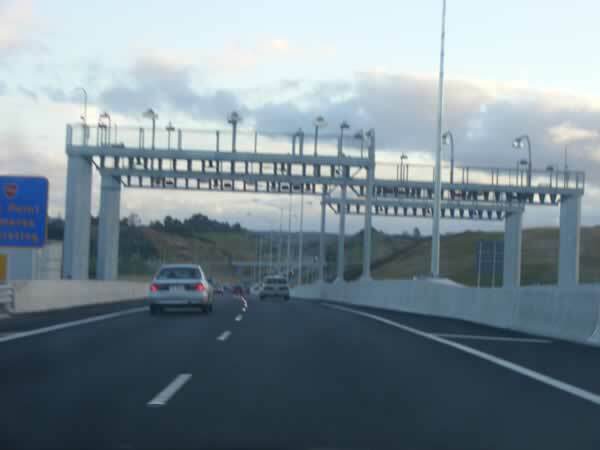 No stopping here – just cameras taking photos of your number plate, which you then have three days to pay the $2 toll. 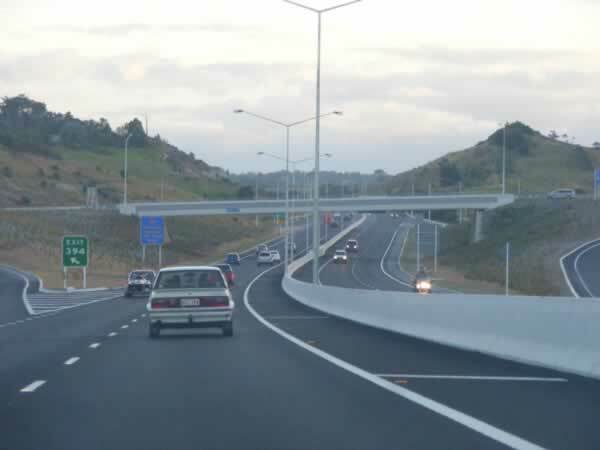 This is the new Orewa interchange. Before last Sunday someone heading north had to exit here and trawl their way through the back-streets of Orewa. I certainly won’t miss the horrible orange-roofed houses at Orewa!! !